Louise Wren was closing her bedroom curtains one night when she spotted a fox cub sitting alone and forlorn on her lawn in the dark. Realising it had been orphaned, she began to feed it, soon recruiting her grandchildren to help. So began an extraordinary relationship which changed Louise’s perception of foxes forever. Foxyloxy, as she named ‘her’ fox, became a part of Louise’s family. And when her new protégée grew up and had a family of her own, Louise was able to follow every stage of the process and make friends of the cubs too; they even became TV stars. 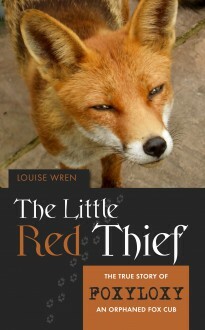 When Foxyloxy finally and inexplicably vanished from Louise’s garden and from her life, her attention turned to other foxes, and she became involved in the conservation and protection of the animals she had come to love.